Cultivation refers to the process whereby humans deliberately encouraged the reproduction of plant species by interfering with them in some way. This allowed some plants to be grown beyond their natural range and genetic changes to accumulate that further increased the plant's usefulness. Early gardeners might sow seed or till the ground to extend the area of a perennial root crop, but at some point thousands of years ago, people began to recognize that they could increase desirable plant species by consciously tending to them in deliberate ways. How do we know this is happening? It is difficult during the early phase of plant cultivation, and evidence is often indirect. The discovery of the remains (charred seeds, rind fragments, cobs) of a plant species known to be growing in an area beyond its natural range is one clue that people may have introduced it for cultivation. This is the case with early plants that produced starchy seeds such as maygrass, knotweed, and little barley. 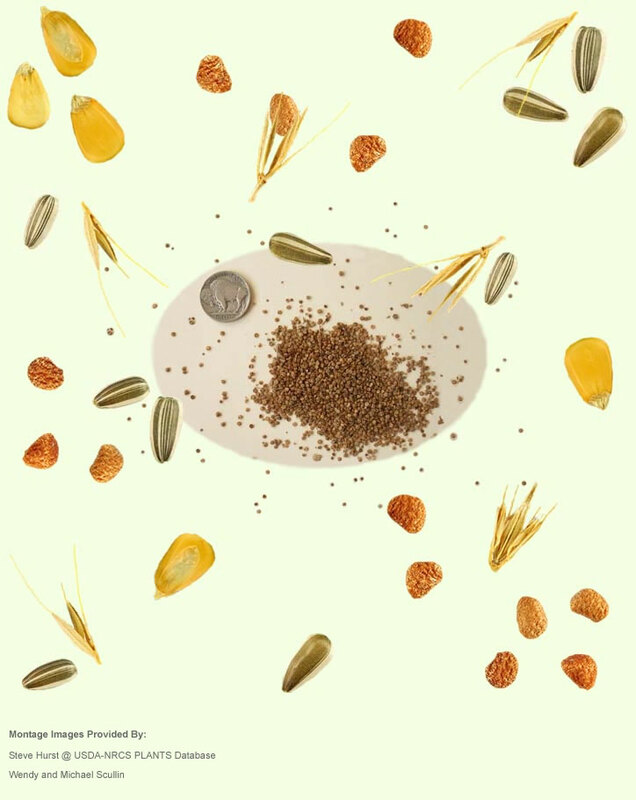 An over-abundance of seeds from a particular plant species may suggest that it is now being cultivated. More obvious, however, are actual morphological changes seen in a plant that suggest domestication has occurred. Domestication implies plants under cultivation that have undergone actual genetic changes resulting from human selection or by adaptations by the plant to the human-manipulated environment. This is a form of genetic engineering, and at first, it probably resulted from people harvesting and ultimately selecting the seeds from particularly desirable wild plant specimens, such as those with larger seeds, bigger fruit, thinner seed coat, or more edible rind. Over time, this selection resulted in increasing the stands of plants with the desirable characteristics. The difference between the wild and domesticated versions of plants like sunflower and marshelder, for instance, reflect an increase in seed size. Domesticated goosefoot displays a small seed similar to wild varieties but a thinner seed coat and other morphological changes. When archaeologists see such changes in the seeds recovered from archaeological sites, they know that people are deliberately growing and harvesting these plants.